Cyclelife is going to take the store into the 21st Century, said Nigel Jones, one of the two partners who own Palmers Cycles of Bristol. Theres a real buzz among the staff and everyone wants to take the shop a step forward. The new interior is really eye-catching and the feel of the store is much more relaxed than before. Cyclelife is a retail format for the mass market. It will appeal to everybody and isnt for a specialised sector of the market. Nicholsons re-opens on 30th March, Palmers on 12th April. From then on they are to be known as Cyclelife Dundee and Cyclelife Bristol. Its very easy for manufacturers to lecture dealers on how to retail. Thats not what Cyclelife is about, were not lecturing, were putting good practice into action. The impetus for Cyclelife started when Gary Matthews joined Raleighs American parent company Derby Cycle Corporation in 1998 and was a recognition that, in a rapidly changing marketplace, independents need to evolve to thrive. There are so many impactors out there, said Spon-Smith. Walmart, ecommerce, new entrants. The timing of Cyclelife is apposite. Progressive dealers need to think what do I have to do to change my business to match the pace of change’. They need to leverage profitability. Those IBDs who do choose to opt in to Cyclelife, pay for the refit. Raleighs contribution is the concept itself and, said Spon-Smith, is a demonstration of how seriously Raleigh views the independent channel. If we didnt believe in the future of IBDs we wouldnt have ploughed this much money into the project. Spon-Smith wouldnt reveal the projects budget but, BikeBiz estimates that Raleigh have probably spent in excess of £150k on Cyclelife so far. Any IBD could opt for a Cyclelife makeover its not the exclusive preserve of RCCs although they would have to jettison all other multi-franchise brands and stock purely Derby brands. (However, in a town where an RCC wanted to become a Cyclelife shop and a multi-franchise shop also applied, the RCC would take precedence). The two unknown brands (unknown in the UK, that is) are Musing which is a German road bike brand; and Gazelle which is a Dutch commuting bike brand. These two are Cyclelifes fourth and third brands respectively with the majority of Cyclelife shops majoring on Raleigh and Diamondback, although cycle-commuting friendly towns could have a different product mix. IBDs are free to merchandise their shops as they see fit although can seek guidance from a Cyclelife stylebook. Seasonal promotional graphics will be provided to all Cyclelife stores. These graphics will fit into easily-changeable point-of-sale fittings. The look of the shops have to be consistent, said Spon-Smith, so that the Cyclelife brand had integrity. Raleigh wont be specifying that a certain bike has to be displayed at a certain angle on a certain day of the week. It wont be totally regimented but IBDs will need to have the right mindset so they can adapt an existing formula to suit their needs. Its critical that bike shops are aware of retail trends around them. Theres a whole generation of people who are now at home with high quality retailers like Gap. Old fashioned bike shops can be threatening places, especially for women. In those kind of shops, price becomes too much of an issue. People dont haggle for prices in Gap. The Cyclelife shops will feature bikes to suit all, but will extend customer service and improve information facilities, with the added help of investment in staff training. 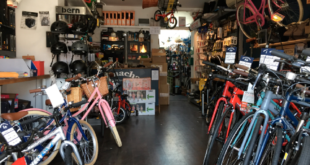 Raleigh Bicycles MD Philip Darnton adds: We are looking to create a modern, clutter-free shopping arena offering a high quality, unambiguous bicycle shopping experience. The objective is to sell more bikes, parts and accessories and to increase the average sale value. This last sentiment is enthusiastically taken up by Spon-Smith: Too many people talk about units in this trade. We want to lift average retail prices. 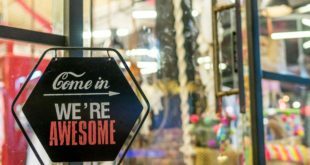 A better quality shopping environment can help IBDs achieve that. I dont want to put any pressure on us to have X number of Cyclelife shops. We have a number in mind and its a case of what the market will bear. It will be a progressive roll out and one that we can fine-tune as we go along.